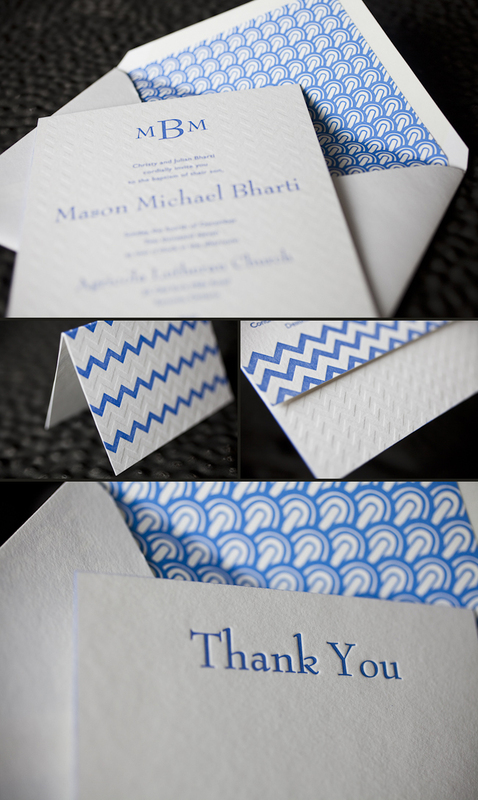 Submitted to us by our good friend, Elle at Petite & Sweet in Toronto, Canada these letterpressed Hekla baptism invitations are downright swank! I mean talk about being up-to-the-minute! 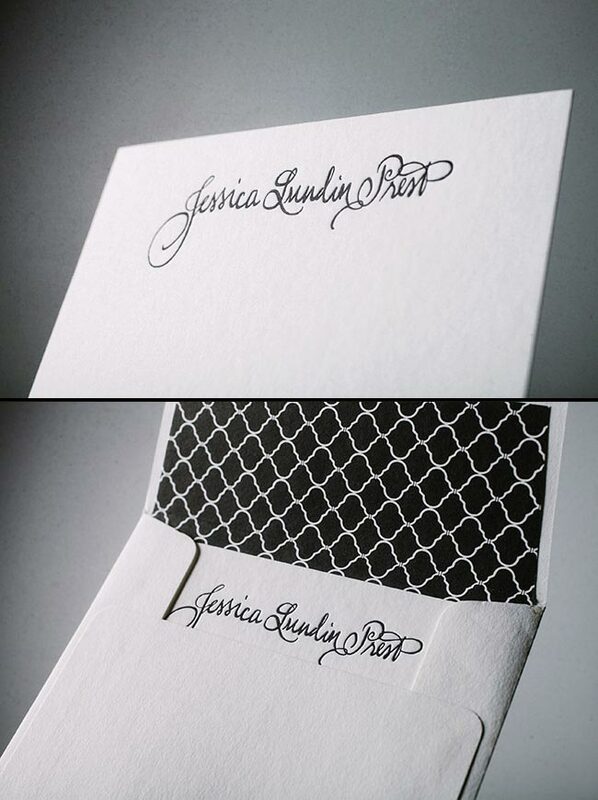 These invitations showcase our royale and inkless blind deboss inks – and the end result makes for some of the most chic invitations we’ve had the joy of printing in quite some time. 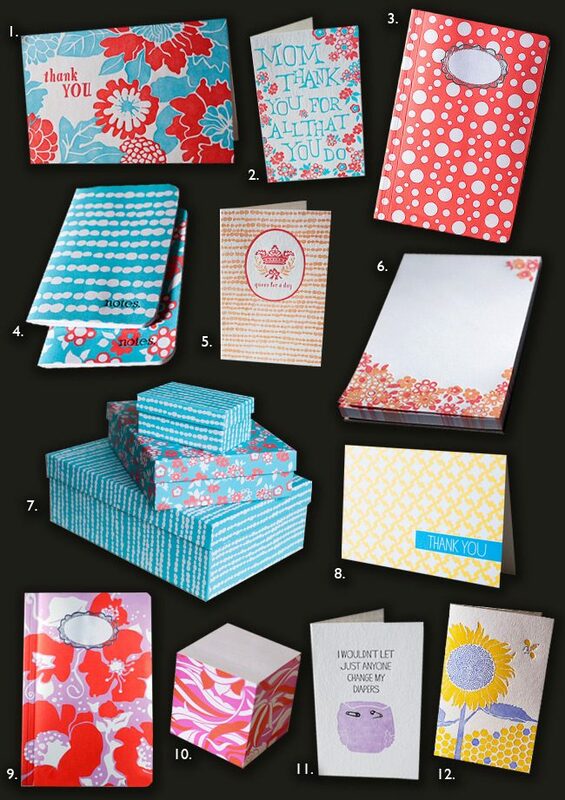 The envelope liner adds another nice modernistic touch to this anything but simplistic set! We think these invitations are the perfect prelude to such a memorable occasion – and helped achieve the vision the proud parents were hoping for. We look forward to many more unique and current customizations from Petite & Sweet! This vintage inspired customization of our Chasseral design was submitted to us by our great friends at LS Amster Company in Scarsdale, New York. 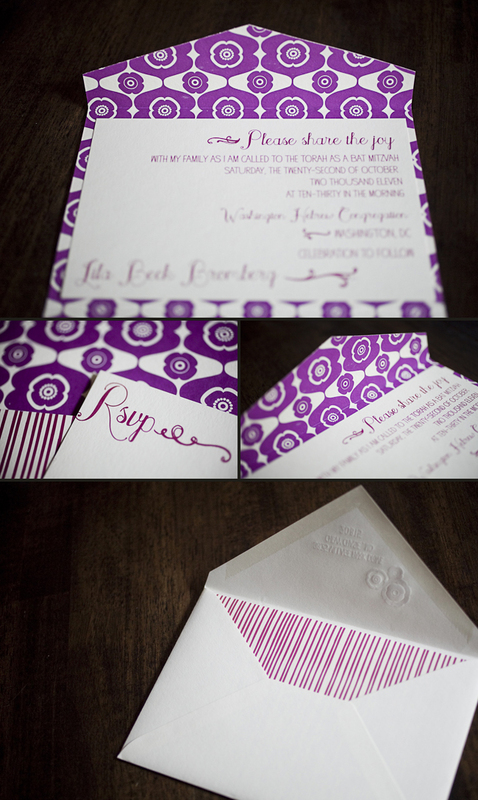 We think our eggplant and saffron inks were the perfect pairing for an autumn wedding. The rich colors of the season are seen throughout- so much that it’s easy to see the leaves changing color! The iznik pattern envelope lining in saffron gives off the perfect amount of charm! Complete with direction cards printed on both front and back- these cards tell guests everything they need to know about getting to the celebration! The couple also chose letterpress thank you cards and we cannot think of a better way to show all of your guests your gratitude for being such an important part of your special day. 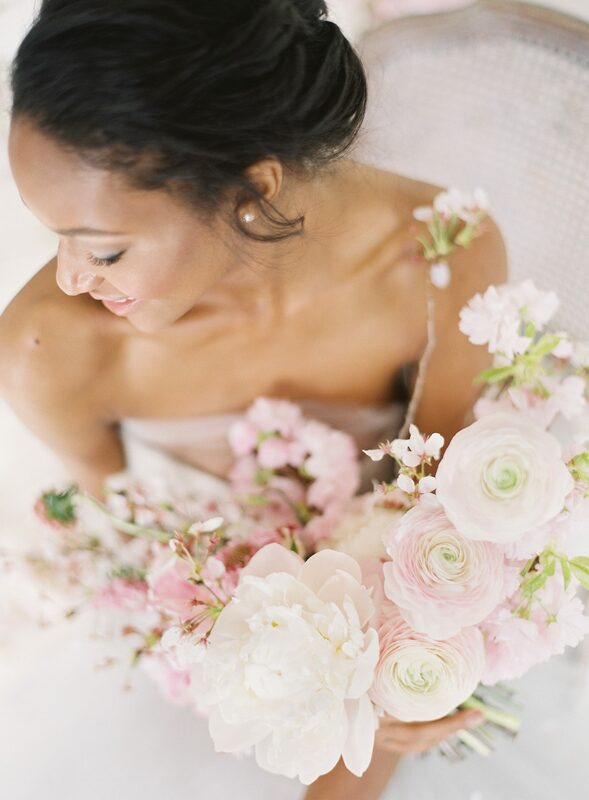 Vintage inspired + autumn color palette = ABSOLUTELY BREATHTAKING! 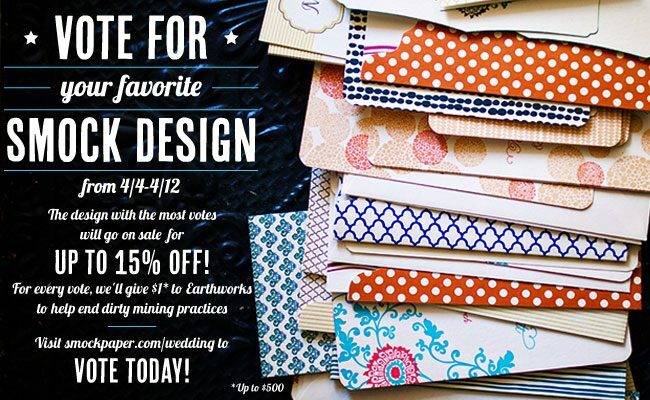 It’s time to say thanks to the fantastic editors who have featured Smock’s letterpress wedding invitations, greeting cards, gift-wrap, and more in their magazines and on their blogs over the past few months. 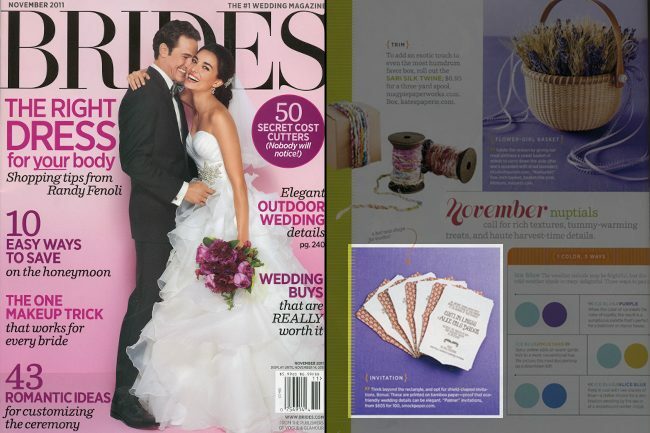 Our first feature is from Brides magazine, which showed our Palmer letterpress wedding invitations in their White Hot! section of their November edition — they were digging the die-cut shape and the fact that our invitations are eco-friendly! 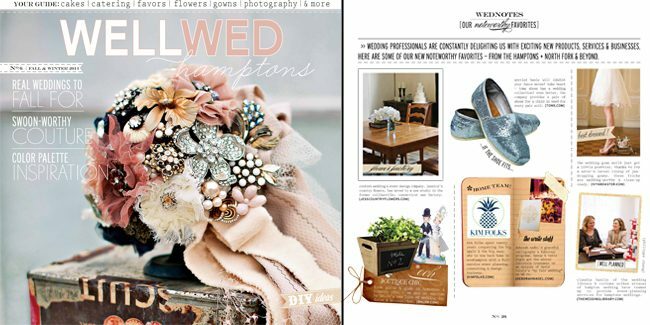 Well Wed Hamptons Fall/Winter 2011 edition featured this set of stunning letterpress wedding invitation suite and one of our amazing retailers — Claudia Hanlin of The Wedding Library! 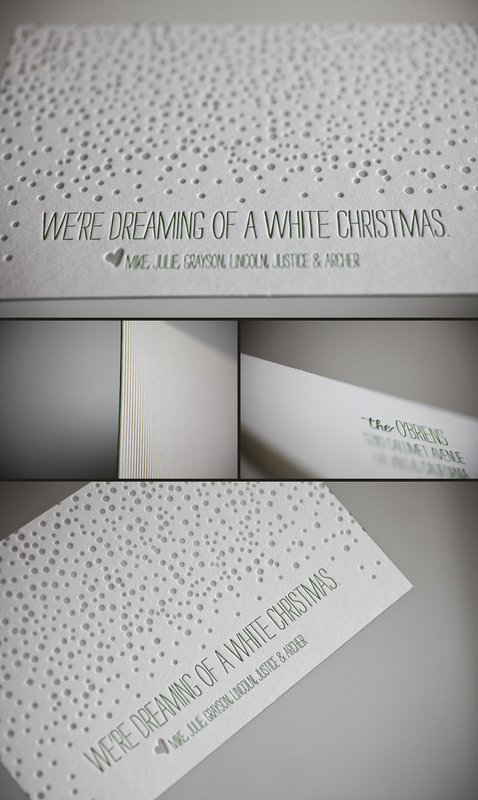 Snowy + Sweet Letterpress Christmas Cards! There’s no better compliment than when a store asks us to print their own cards. 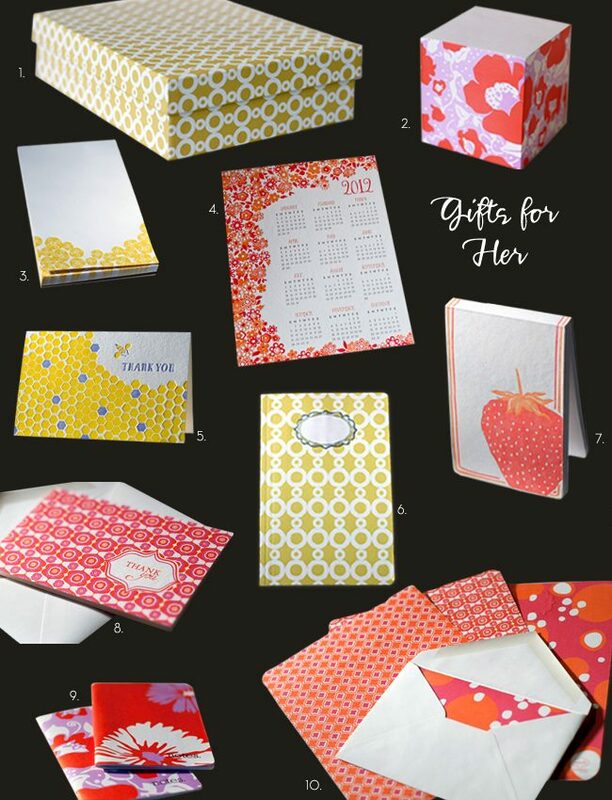 Julie from Sweet Paper in La Jolla, CA used our Pearl design in such a clever way. I think this might be my favorite Christmas card to date! I may have to steal the idea for myself 🙂 Thanks Julie! The holidays are right around the corner, so it’s time to start shopping for gifts! 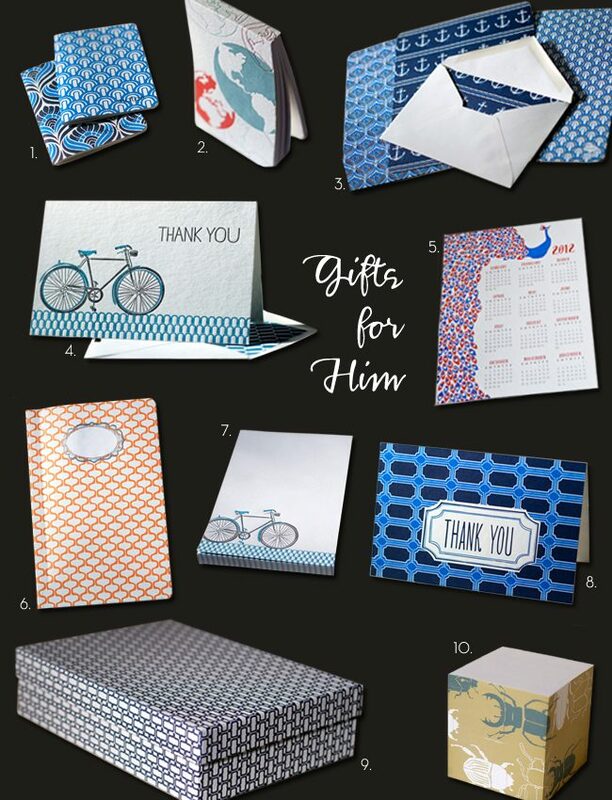 At Smock, we’ve got something for everyone — whether it’s pretty letterpress stationery for her, or man-friendly notebooks for him, we’ve got you covered. This is a carefully selected assortment of our best-selling items, so they’re sure to please everyone on your list! 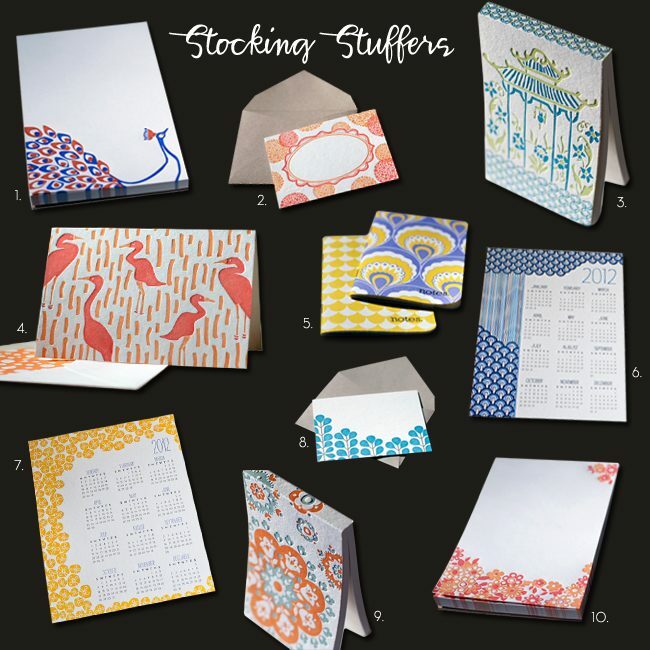 We’ve even got some great stocking stuffer ideas — all for under $15!! So stop by your local Smock retailer or visit our website to get started on your holiday shopping today! And don’t forget to stock up on a few rolls of our double-sided, eco-friendly gift wrap for a perfectly coordinated present (and to find out how to make matching bows, visit us on Youtube!). You just might say we have a soft side for pastel ink colors letterpressed on our thick 2-ply bamboo paper-and you would be right. 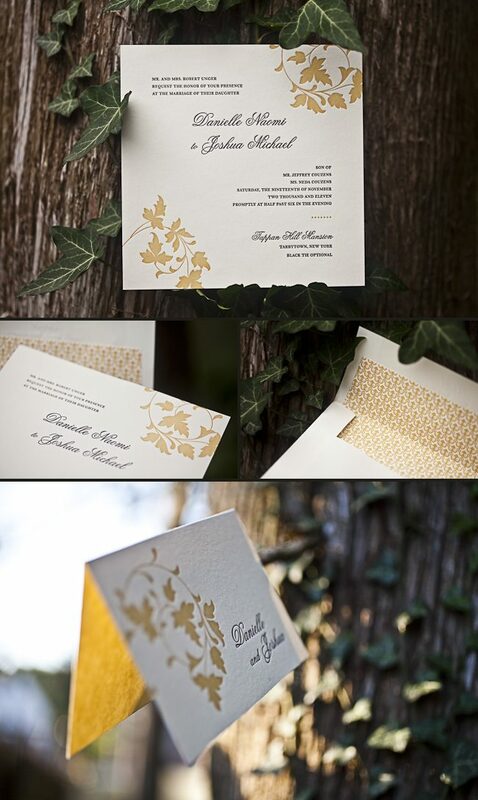 Take a look at these elegant Engadine invitations submitted to us by our good friends at Salutations in Chapel Hill, North Carolina. Softer hues have a way of looking peaceful and calm, without being over the top. The highlight is of course the gorgeous folio offset printed on the interior and exterior in the coolest colors to keep things modern. There is a real warmth seen throughout this suite and we adore it! We have been printing a lot of Bat/Bar Mitzvah sets in our shop lately. Thanks go out to Amy at Monograham for sending us this hip Delano customization. 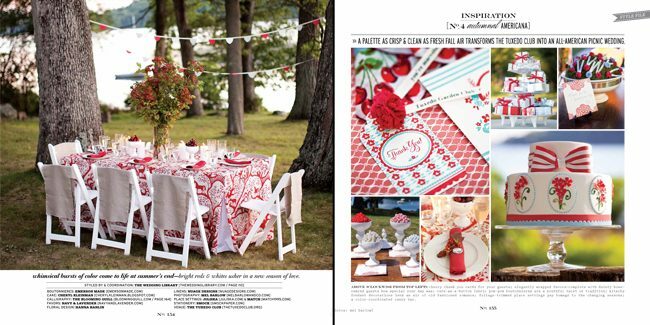 This set was offset printed on our bamboo 1-ply ivory paper in Raspberry and Orchid inks. 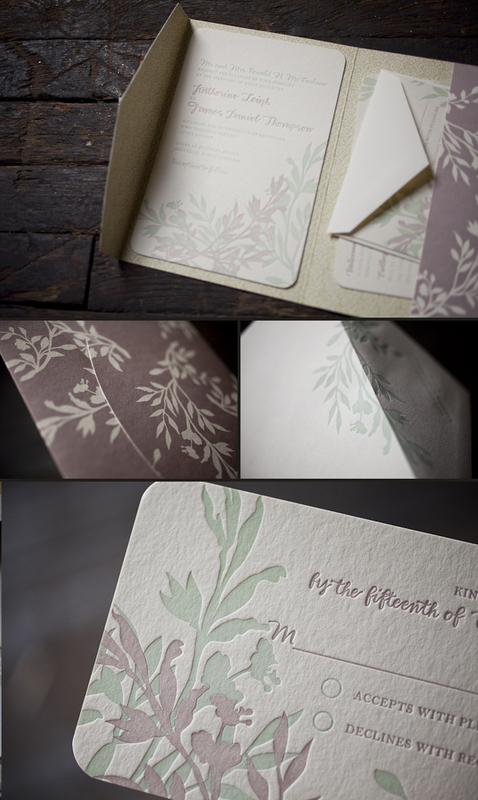 The outer and response envelopes were letterpress printed in Orchid. This set is completed with an offset printed folio; our Cayman pattern in Orchid on the interior and our Fleming pattern in Raspberry. If this special day was half as fun as this suite was, we all missed a great party.